« (Sponsored) Protect, Connect, and Strengthen Your Neighborhood! Volunteers gathered outside GOLES headquarters after Sandy. Lower East Side community organizations are circulating a survey on Hurricane Sandy, in order to ensure that important input from hundreds of neighborhood residents who survived the storm becomes part of a final plan to protect the Lower East Side the next time a disaster strikes. At community meetings, workshops, and even at their doors, LES residents will get the chance to share their survival stories and ideas for improved emergency response. The community disaster preparedness plan is being developed by LES Ready, a coalition of community groups who responded to Sandy and provided emergency services. LES Ready works to address the unmet needs of community residents after Hurricane Sandy and to develop this disaster-preparedness and recovery plan. The group will incorporate hundreds of residents’ survey responses into a comprehensive year-long process to create a neighborhood plan that may even influence similar groups citywide in the creation of their own community disaster plans. The survey research will ensure that neighborhood residents – many of whom took charge in their own buildings or developments when the storm struck – will participate in the process of forming a disaster plan, contributing a grassroots voice from those who were on the ground in the moment of crisis. 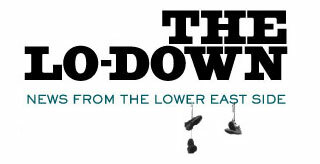 The project will be spearheaded by Good Old Lower East Side (GOLES), with the support of the Community Development Project at the Urban Justice Center, the Hester Street Collaborative, and many other members of LES Ready – the Lower East Side’s long term recovery group, in which over fifty organizations, faith-based groups, and area churches have participated in so far. Feedback from the surveys will be relayed to members of LES Ready, and community residents, in turn, will get a chance to respond to the data in a series of public town hall meetings that GOLES will facilitate. “After we complete this survey, we’ll come back to you and update on what we’ve collected to get even more feedback from you,” said Reyes, “this will ensure that, at all the major benchmarks of this planning process, the community has a real voice.” The final community disaster plan aims to improve the Lower East Side’s physical, social, and governmental infrastructure so it can better handle another crisis like Sandy and to ensure the most rapid emergency response from the moment disaster strikes. To find out more about GOLES or the Sandy survey, contact Lilah Mejia at 212-358-1231 or lilah@goles.org.